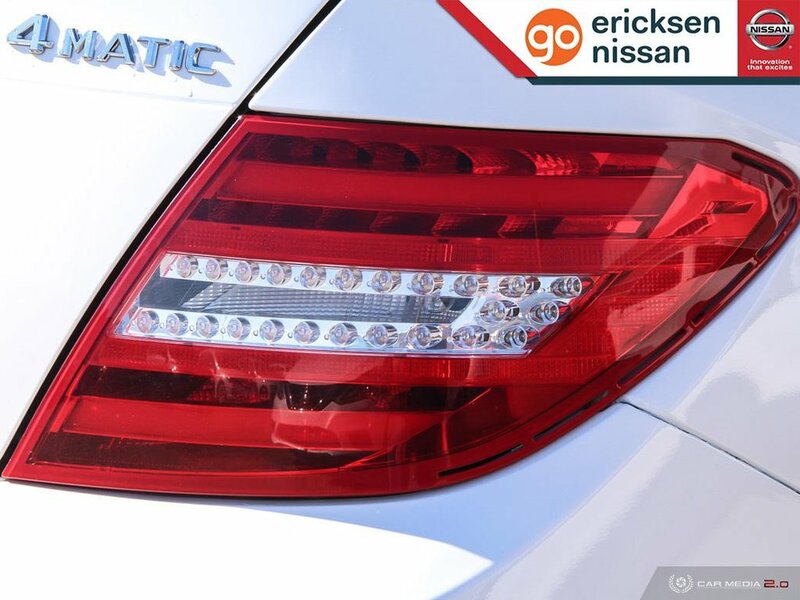 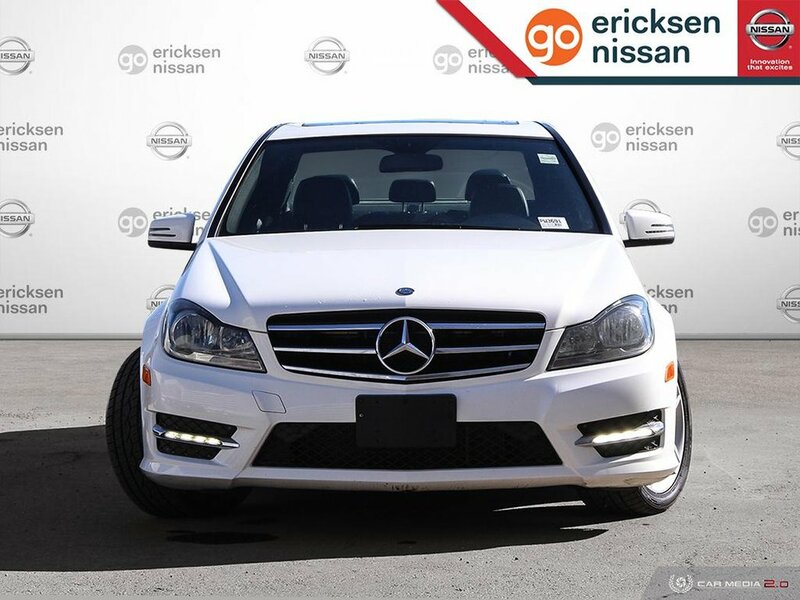 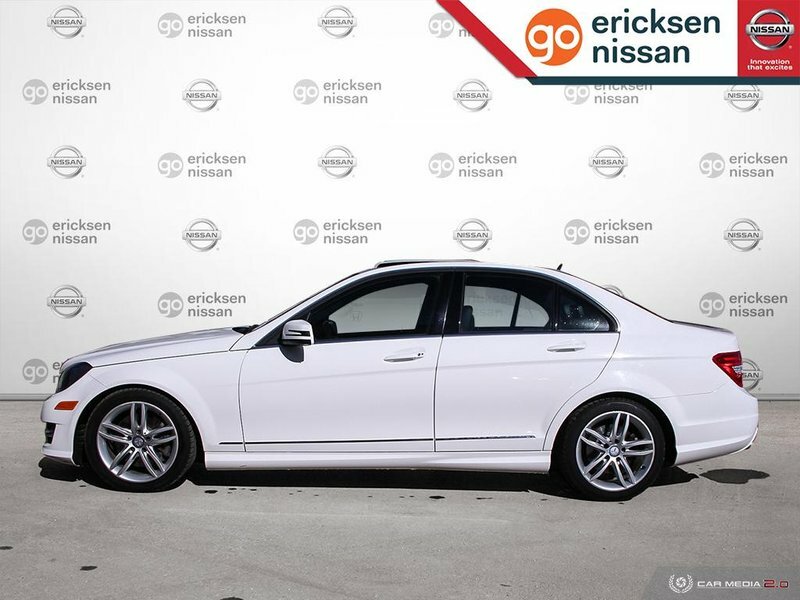 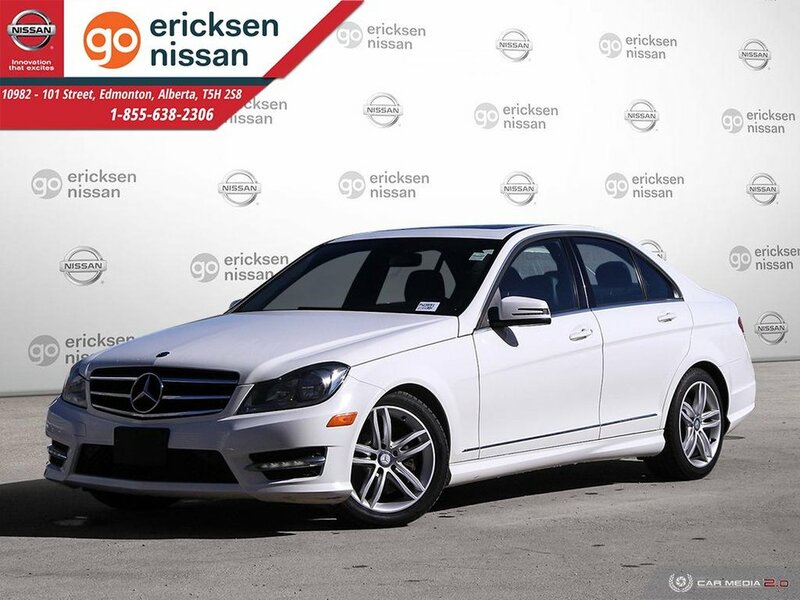 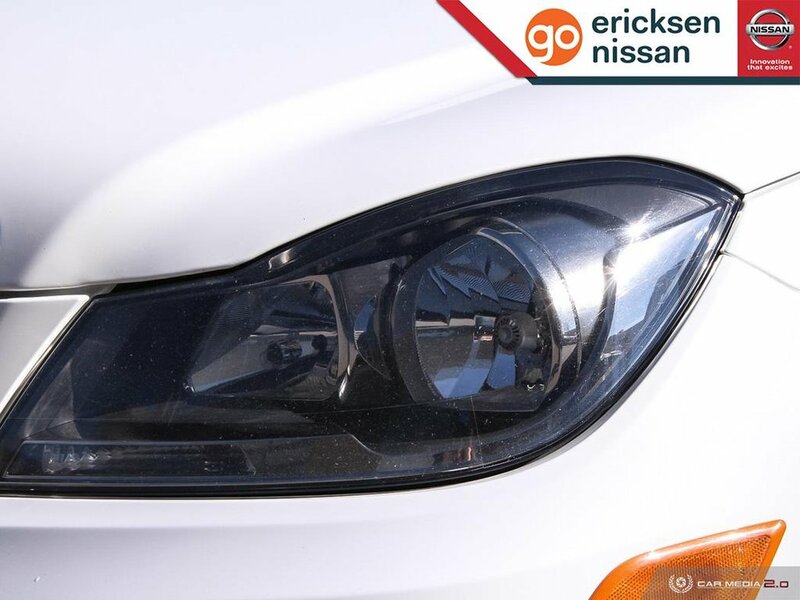 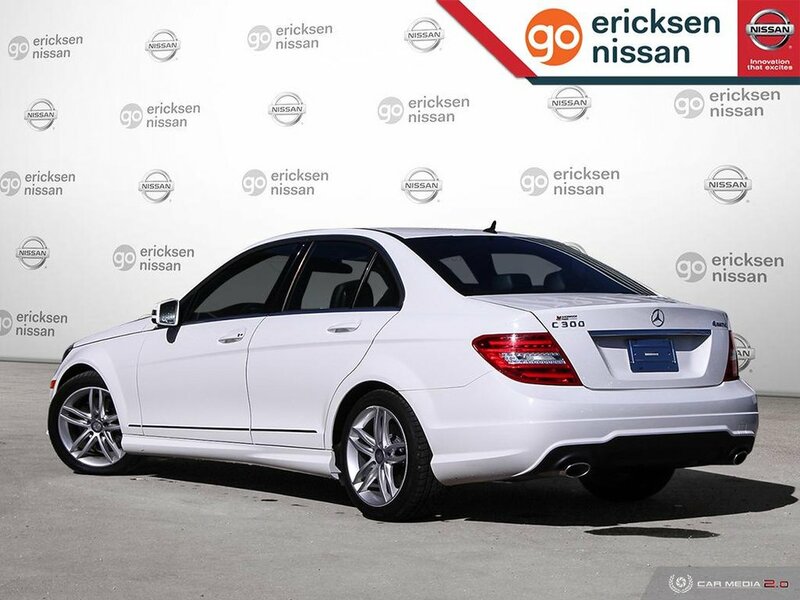 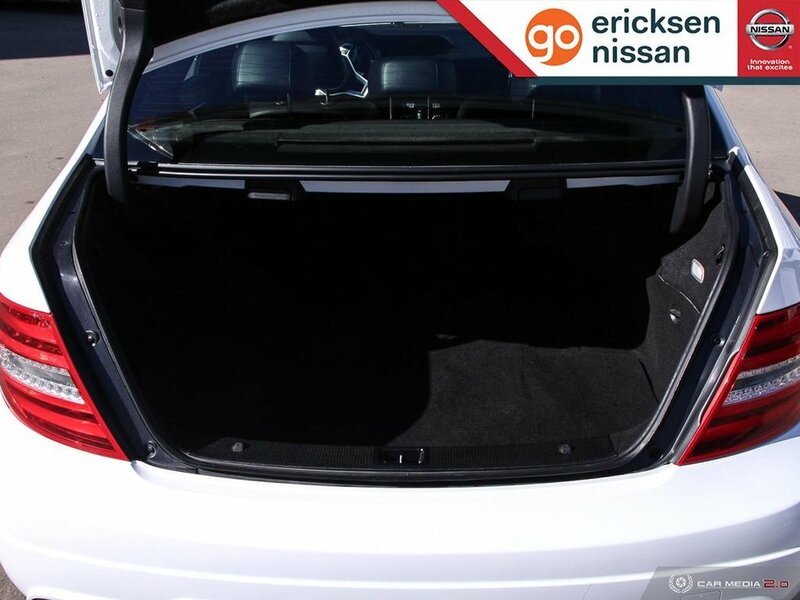 Portray confidence and refined taste in our 2014 Mercedes-Benz C300 4MATIC Sedan in dramatic Polar White. 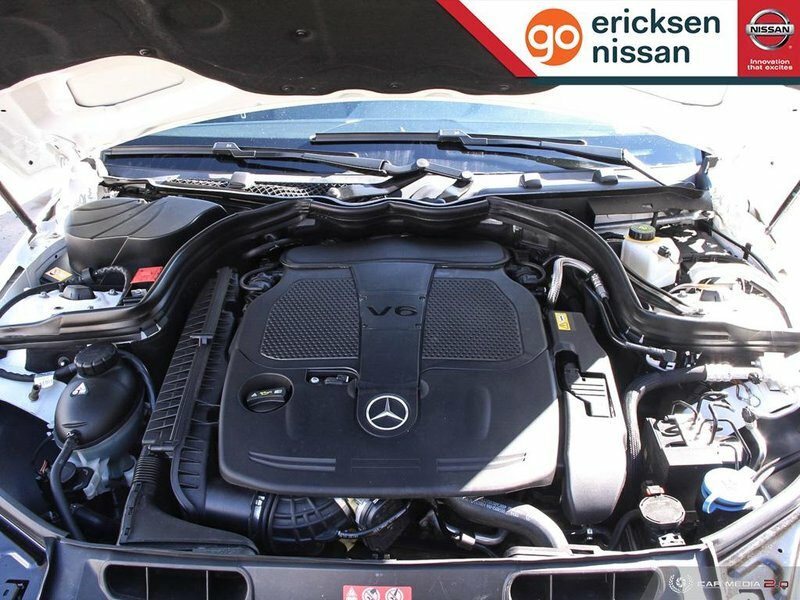 Powered by a strong 3.5 Litre V6 that effortlessly offers 248hp while paired with a smooth-shifting 7 Speed Automatic transmission. 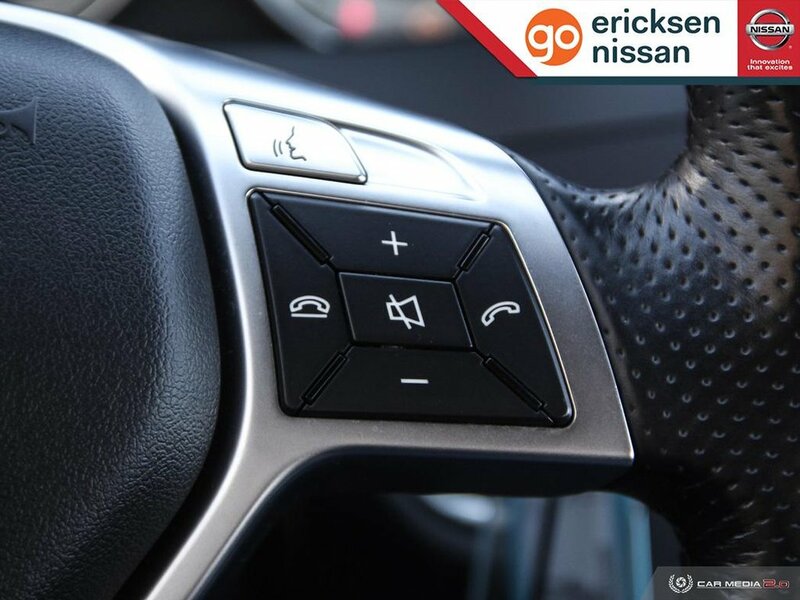 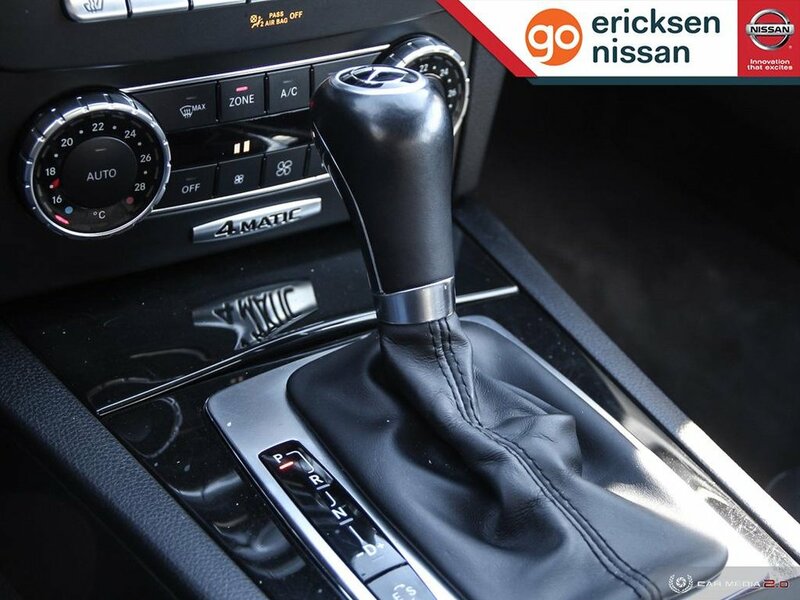 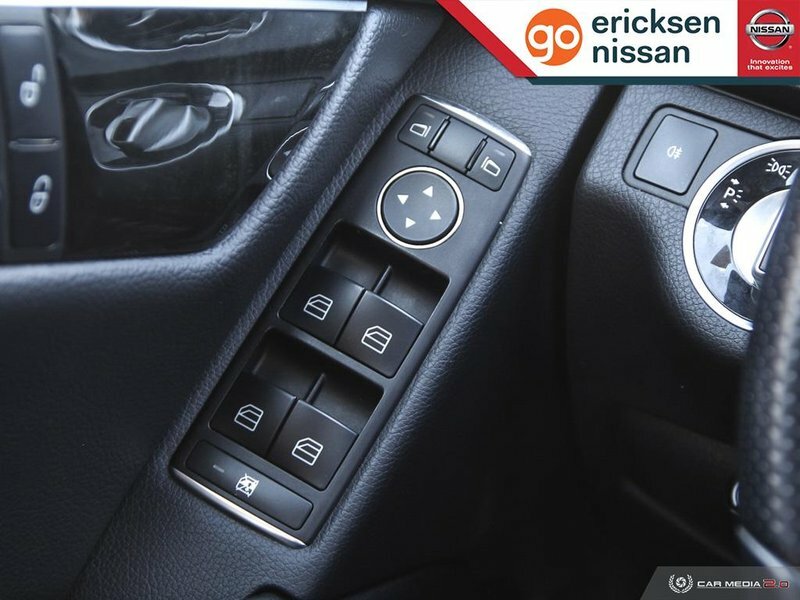 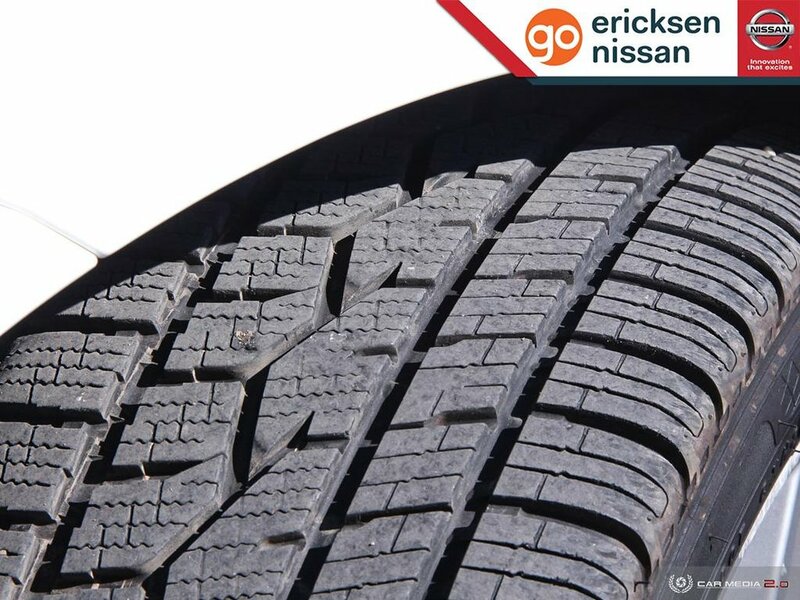 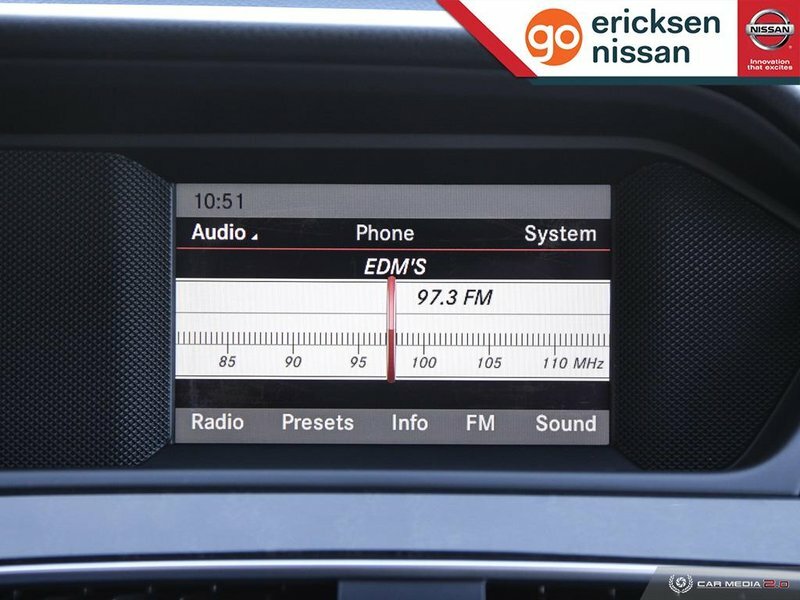 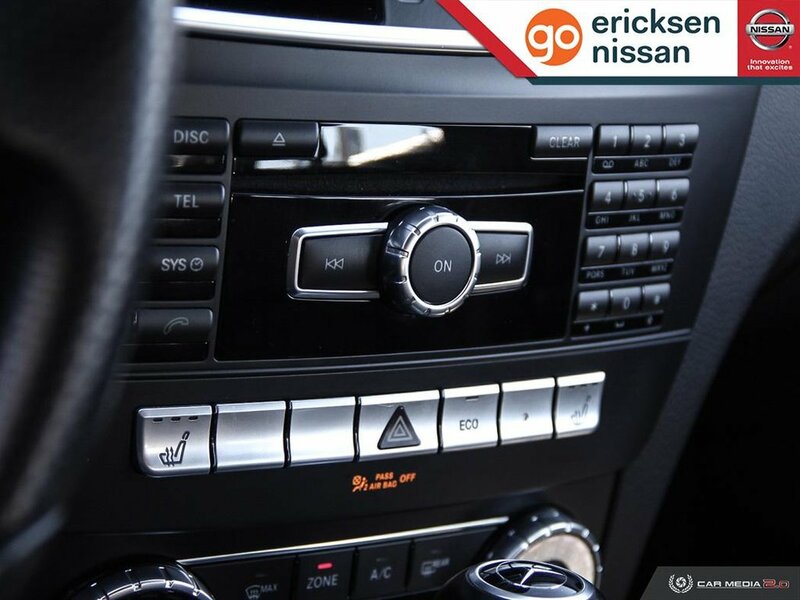 This All Wheel Drive sedan is surefooted at all four corners, giving you a solid feel in most road conditions while sharing near 7.8 L/100km along with a poised driving experience. 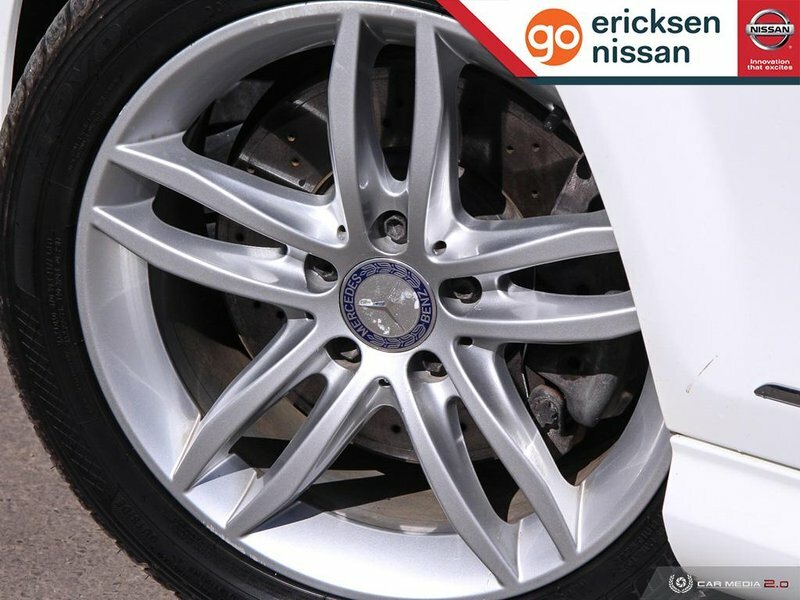 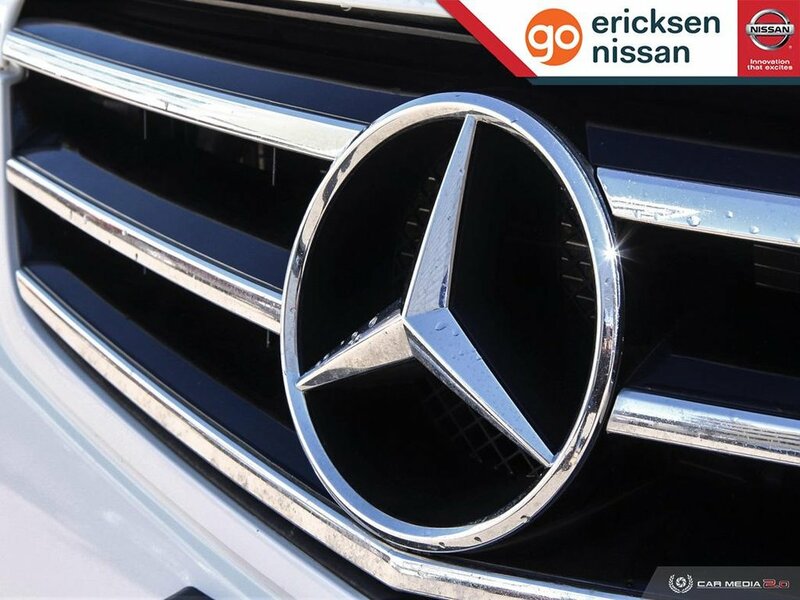 A magnificent chrome grille, our iconic star, and alloy wheels accent the sculpted silhouette of our C300 Sedan. 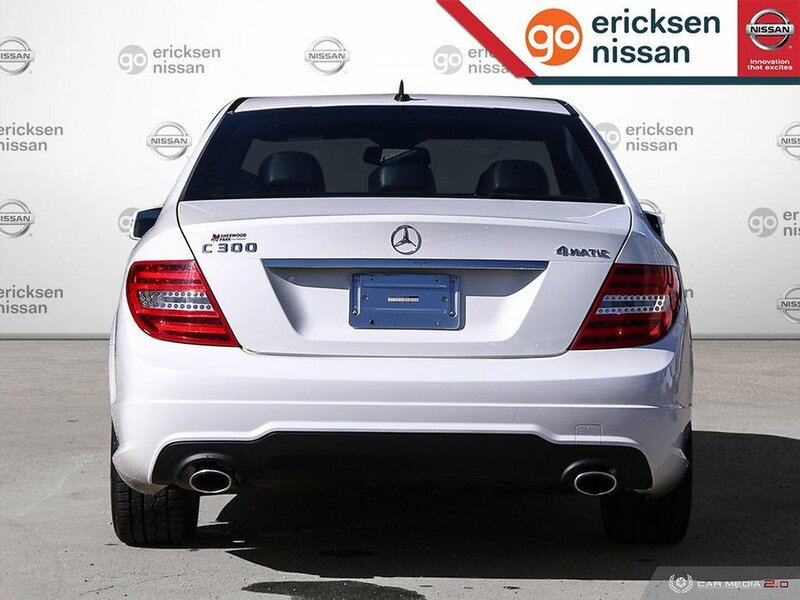 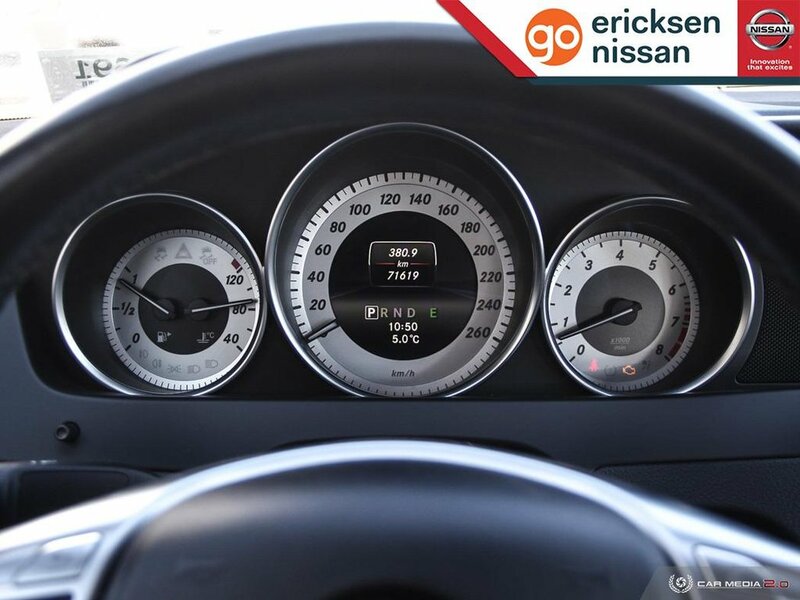 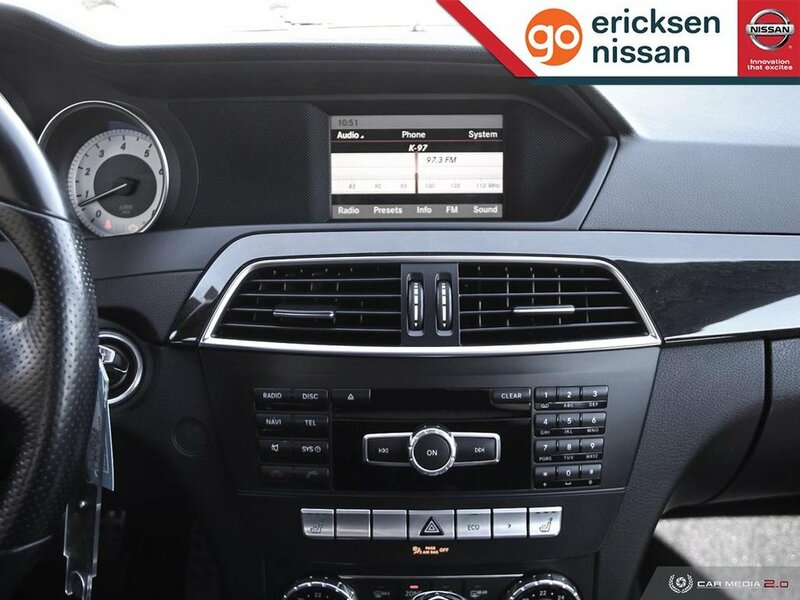 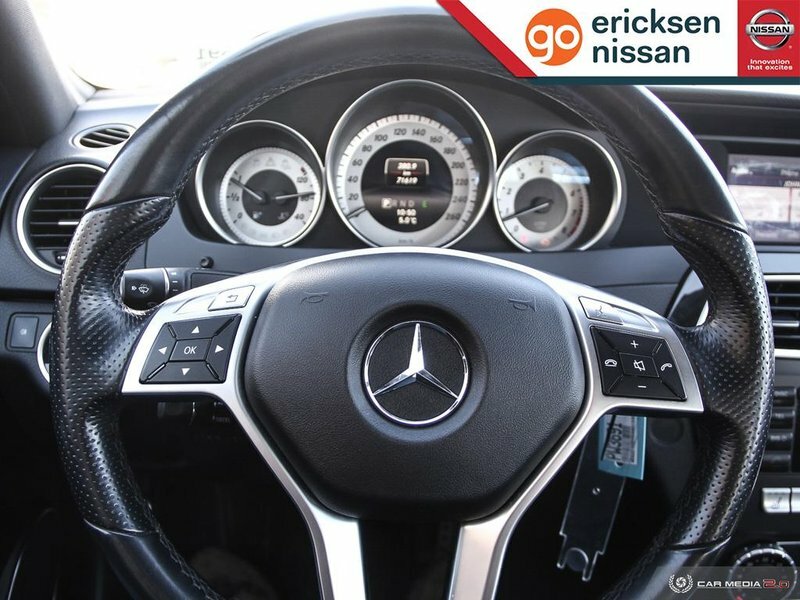 Once inside, this luxury C300 will impress you with how well the feel of sport and sophistication can meld perfectly. 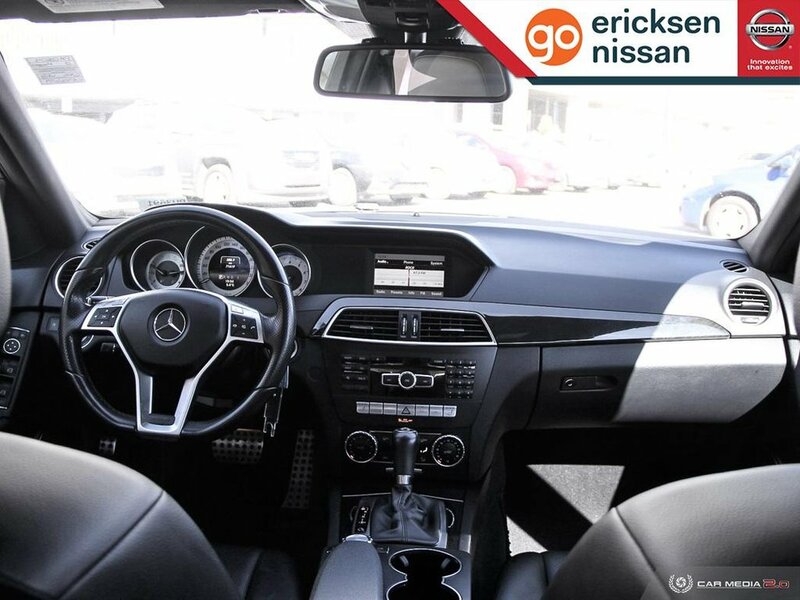 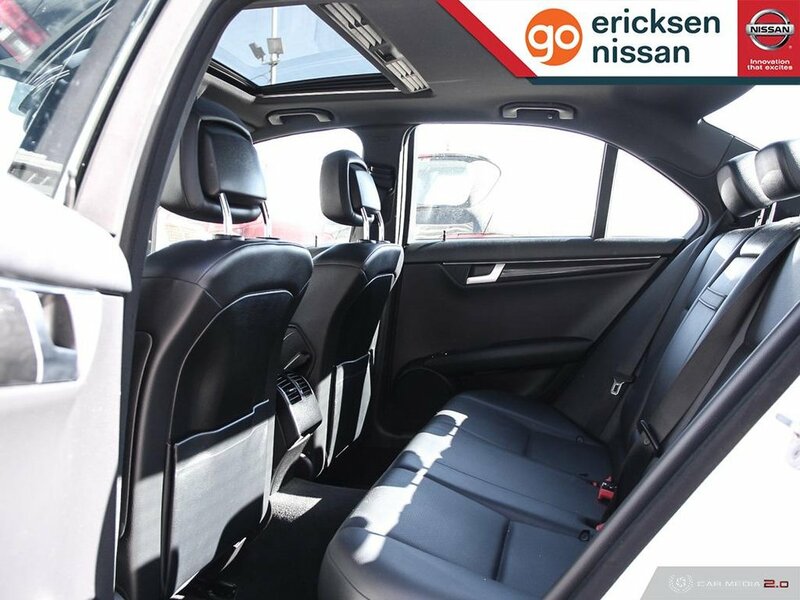 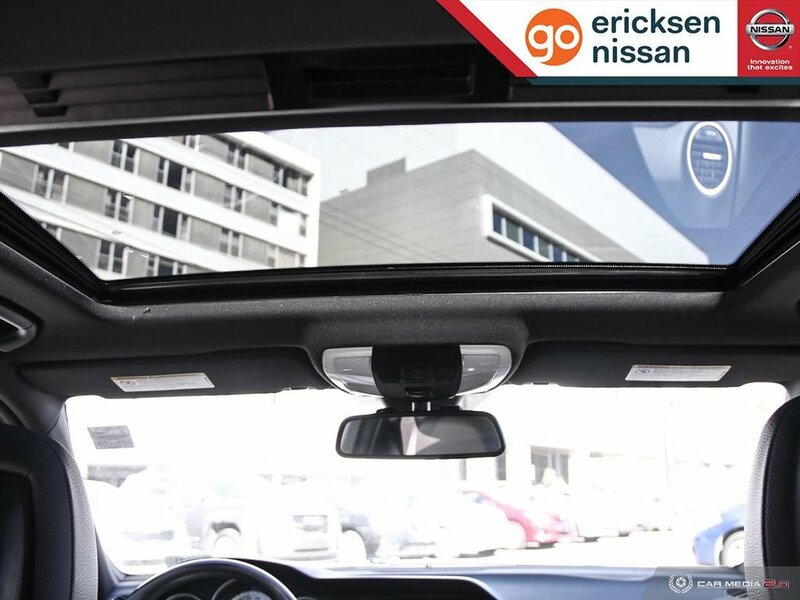 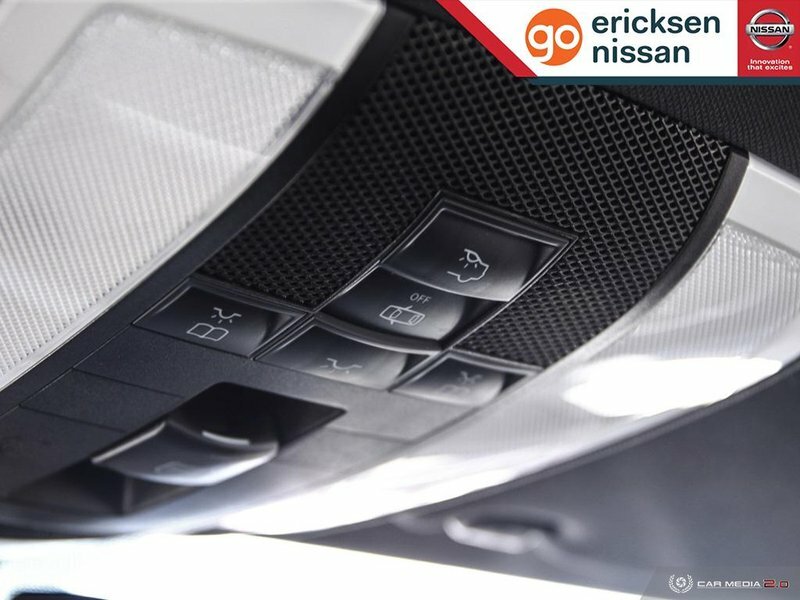 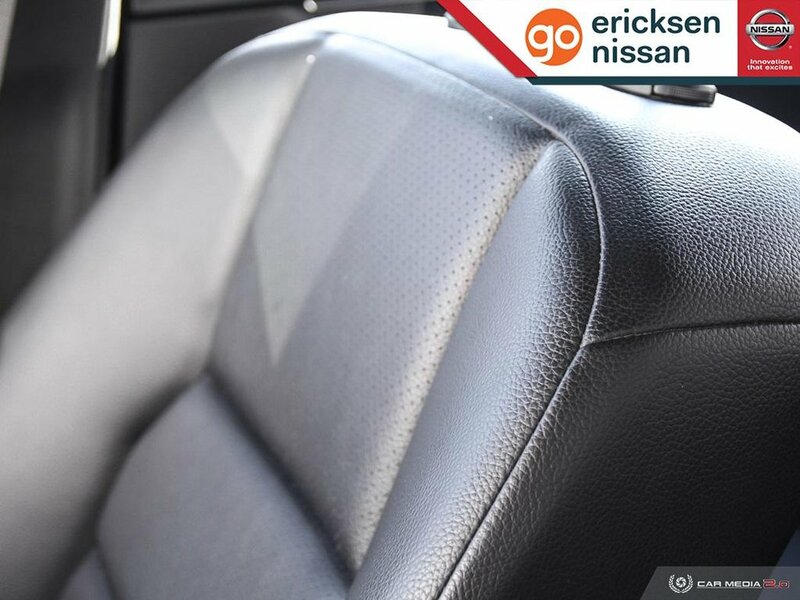 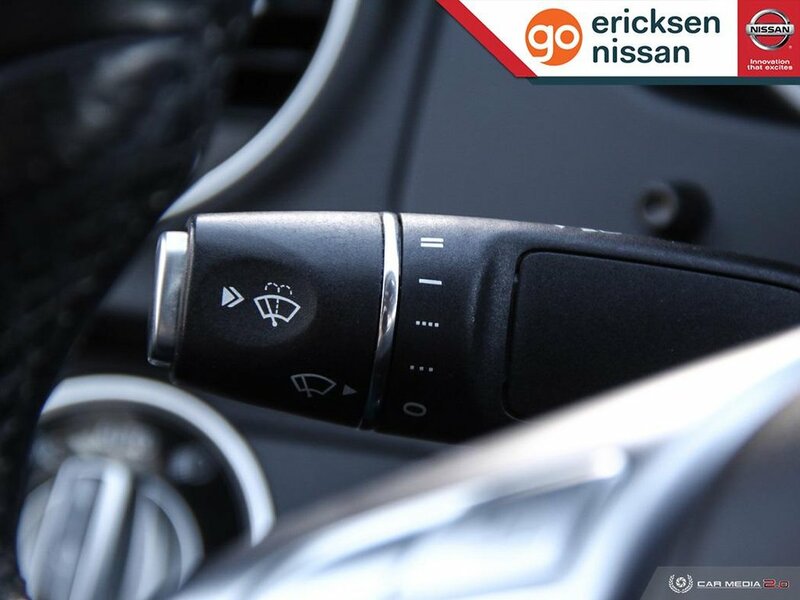 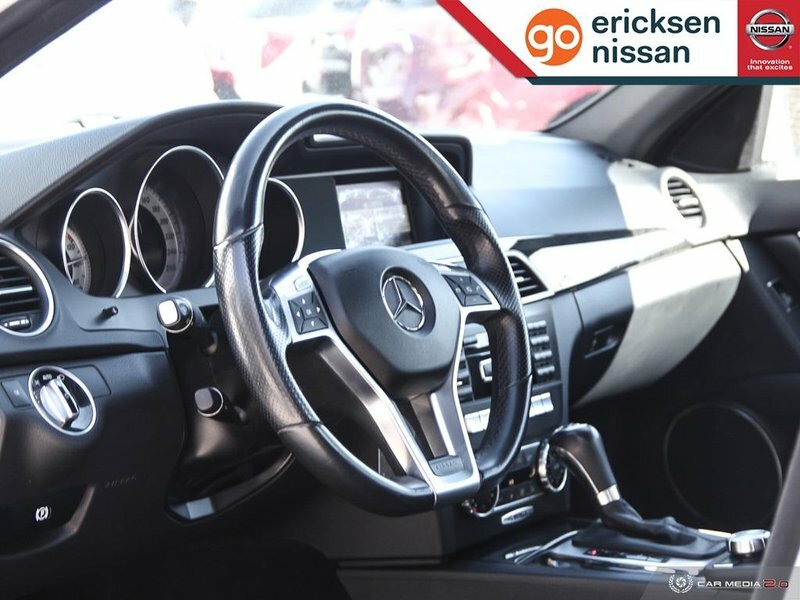 Sit back in supportive leather heated front seats, take note of the sunroof and enjoy the straightforward technology such as Mercedes-Benz COMAND interface, smartphone integration, and a fabulous sound system.